If you know me, it’s no secret that I want to visit France. Half my family have lived there at one point, and with all the sights to see and desserts to eat? I think I’d feel right at home! Anyway, although a trip seems unlikely in the near future these madeleines do well to fill the Paris-shaped hole in my heart. Whilst there are tons of variations flavoured with things from dipping chocolate to matcha green tea, I love this one in it’s purest form. The browned butter really sets it apart from your average butter cake, and I’m sure the shell shape has something to do with it too! 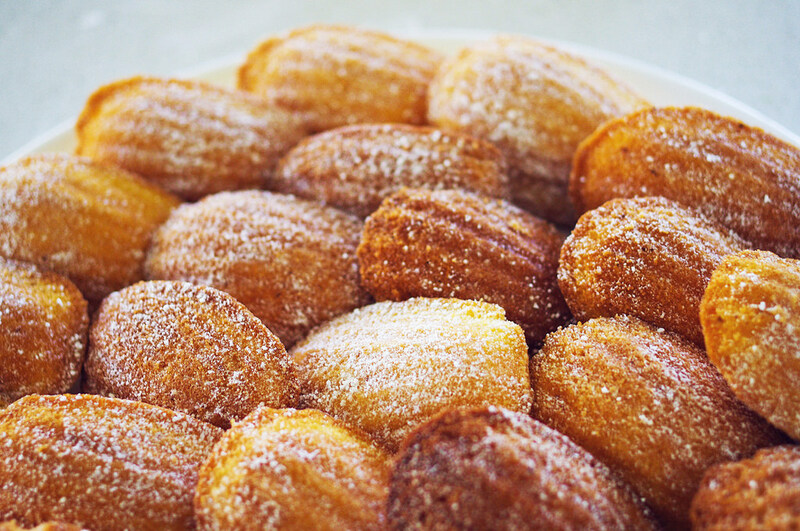 To make these, you need (and I stress the need) madeleine pans. Sure, you could make them in normal muffin tins and I’m sure they’d taste fine, but they definitely wouldn’t be madeleines per se! I know silicon ones exist and those should work, but I doubt you’ll get edges that are as crispy. 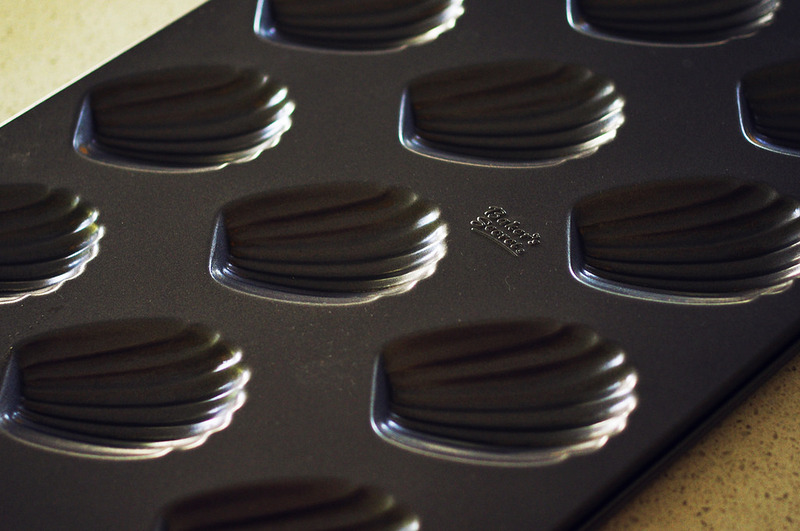 Nevertheless, work with whatever shell-shaped moulds you can get your hands on. Icing sugar 1. 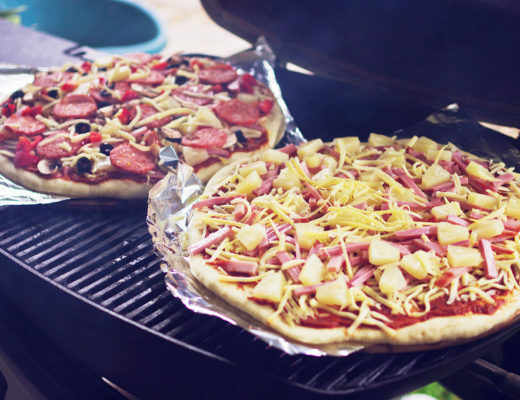 Preheat the oven to 200°C (or 180°C fan forced). 2. Place 2 eggs and sugar in a bowl, then mix well. 3. Sift flour and baking powder into the mixture. Add the remaining eggs and stir until smooth. 4. Heat butter in a saucepan until brown. 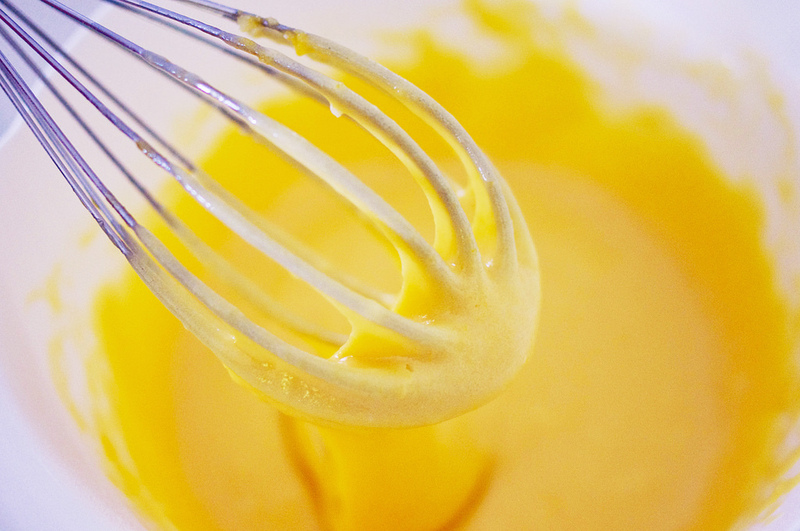 Pour into the egg mixture. 5. Stir, add milk and continue stirring until combined. 6. Lightly spray madeleine pans with oil and spoon in the mixture. Bake for 9-12 minutes or until golden. 7. 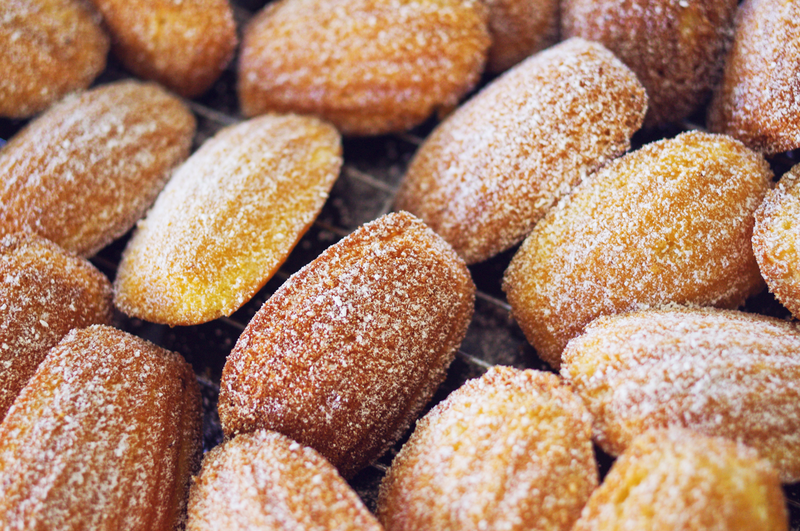 Let madeleines cool on a rack, then use a sieve to dust with icing sugar. 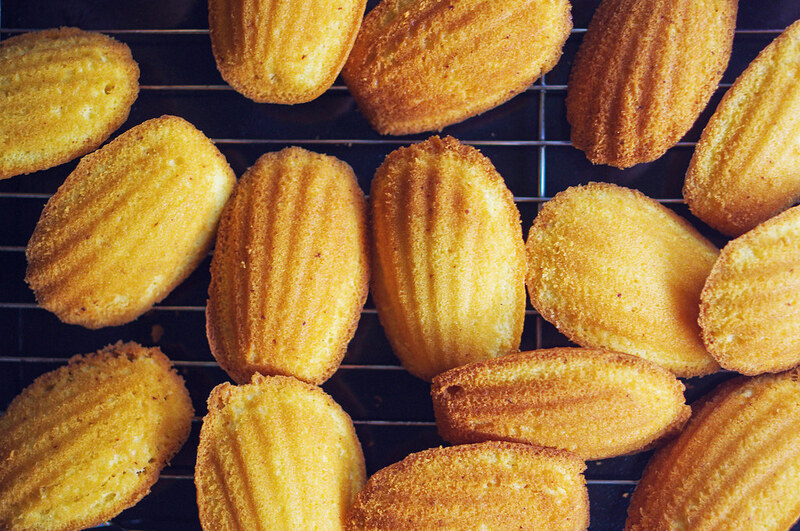 If a hump forms on the back of your madeleine, you know you’ve gotten it right! Anyway, on a typical day you don’t even need to store these in a container because they’re so addictive. In my house, you’d be lucky if they even last an hour once they’re out of the oven… Do tell me if you try out this recipe, and happy baking!